It is an epigeic worm, in other words it lives on the surface of the soil, so you won’t need a trowel to find it. It feeds on decaying vegetable matter and is very easily found if you search damp piles of decaying leaves, under logs and in garden compost bins. Whilst searching for Eisenia fetida you may also come across Dendrobaena veneta to add to your species list. Dendrobaena veneta is also striped, however an immediate difference is that its clitellum is pale yellow-pink. Depending on the warm, moist conditions of your garden composter you are also likely to discover Eisenia fetida cocoons as they will reproduce frequently, all year round if conditions are suitable. The cocoons look like pale yellow-brown, lemon-shaped beads approximately 3mm in diameter. They can contain 8 to 20 embryonic earthworms, however only 1 to 5 usually emerge. You could place a cocoon on a bed of compost in a container within the compost bin and monitor it to see for yourself how many earthworms emerge and record this information in your earthworm field notebook. Eisenia fetida plays an important role in soil ecology as it can consume up to its own weight in decaying vegetable matter each day and through process of digestion convert this material to a mineral state that is then available as nutrients for plants. Eisenia fetida was once native to Europe and the UK. It has been introduced to all continents other than Antarctica. Scientists therefore are researching its usefulness in bio-monitoring (Hirano and Kazuyoshi 2011) local and global soil health. Being more sensitive than our technical means of monitoring soil, earthworms are particularly useful for monitoring soils that are repeatedly contaminated with sub-lethal doses of metals and mixed toxic compounds. By monitoring the bioaccumulation of these compounds in the tissues of the bodies of Eisenia fetida or their lifecycle parameters, in other words the abundance of the earthworms and the number and fertility of their cocoons, scientists hope to monitor for instance the impacts of tailings and runoff from mining for metals or spraying of crops with insecticides (Wang, Cang, Zhao, Yu, Chen, Wu and Wang 2012) and herbicides (Santadino, Coviella and Momo 2014). In some parts of the world, methods are being developed to employ Eisenia fetida in the effective vermicomposting of localised waste streams such as sawdust, bagasse, biogas sludge and livestock manure from intensive farming practices (Mahboub Khomami, Mammadov, Fatemi Chokami, Sedaghathoor 2016). 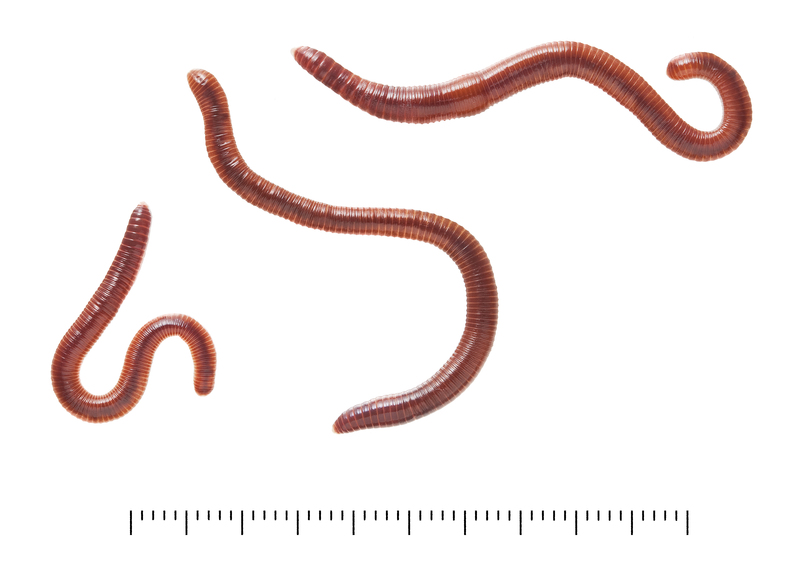 Scientists are now researching the viability of Eisenia fetida’s ability to help with bio-remediation, in other words introducing increased numbers of the earthworm to contaminated soils so that they can break down and mineralise the contaminant to render it harmless or to help with its dispersal such as breaking down oil spills or desalinating soils (Zhang, Li, Sun, Zhang, Gong, Fu, Jia 2015). On the flip side of this research is the problem of biomagnification where the earthworms could increase the concentration of the contaminant by accumulating it in their tissue or excreting it in their casts at greater levels of toxicity. The concentrated toxins are then transferred up trophic levels when the earthworms are eaten by insects, birds or fish or mammals higher up the food chain. As a result these organisms may then suffer greater harm from the pollutants. One of the problems of using earthworms for remediation is how to extract them to prevent recontamination. This has led to the study of the social behaviour of Eisenia fetida where it has been found that if conditions are favourable they choose to group together (Zirbes, Brostaux, Mescher, Jason, Haubruge, Deneubourg 2012). You can read about the maze-like methods the scientists developed to monitor Eisenia fetida’s decision making processes here. Keep your eyes peeled for striped earthworms; you’ll never look at them in the same light again…happy hunting!